we hope you had a good start in a prosperous new year! 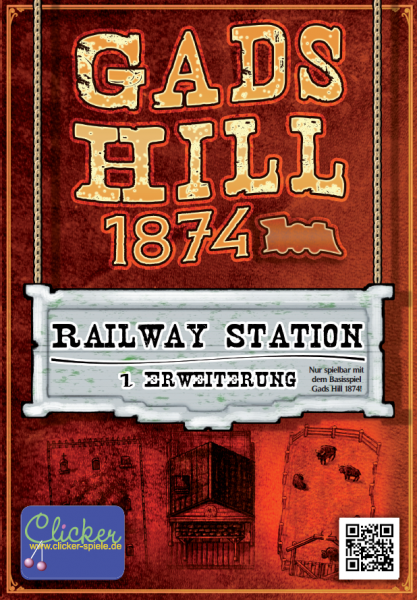 On time to the new year we present you the game: Gads Hill 1874" by Clicker Spiele, with great ratings by "spieletest.de", "angespielt" and "Kinderspielmagazin" and their extension: Railway Station. Gads Hill 1874 is innovative and strategic. How did Gads Hill look like 140 years ago? Where did the duels take place? Where was the hotel located where the Pinkerton detectives spent the night? Where had the Younger brothers been seen? Take your part on reconstructing the city. The player who brings in most of the relevant information wins the game. Gads Hill is based on the concept of Old Town that had been awarded several times*. 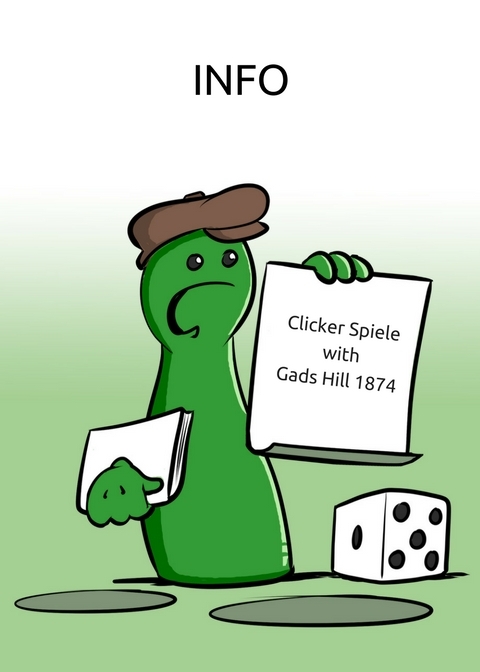 Order Gads Hill 1874 at Spiel direkt eG now. Gads Hill 1874 - Railway Station is the extension of Gads Hill 1874. 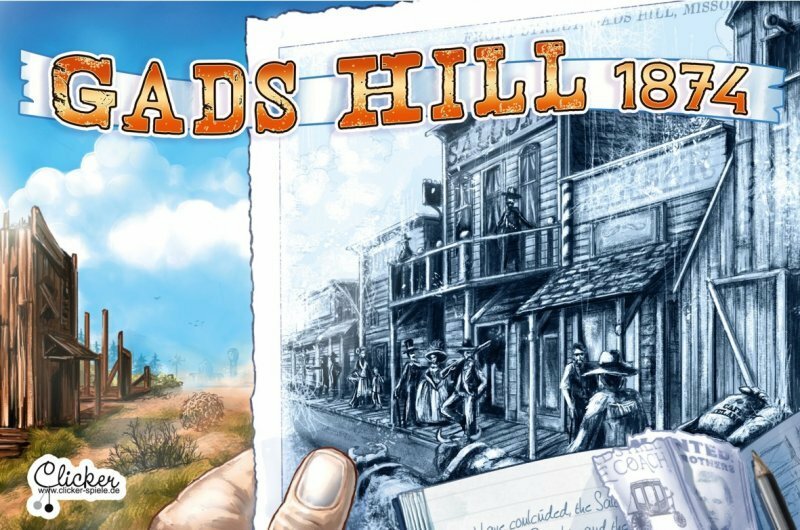 The first extension of Gads Hill 1874 includes extra infocards and marker. With this material you can put the three buildings/ landscapes "Railway Station", "Bisonweide" and "Cemetery" in place. The specialty of these buildings/ landscapes are that there are only four markers at a time, so the placement is more difficult but you can gain higher points. Order Gads Hill Extension at Spiel direkt eG now. Gads Hill 1874 has following great ratings.